In the High Tech Kids segment series we will share our favorite apps and child-friendly technology. 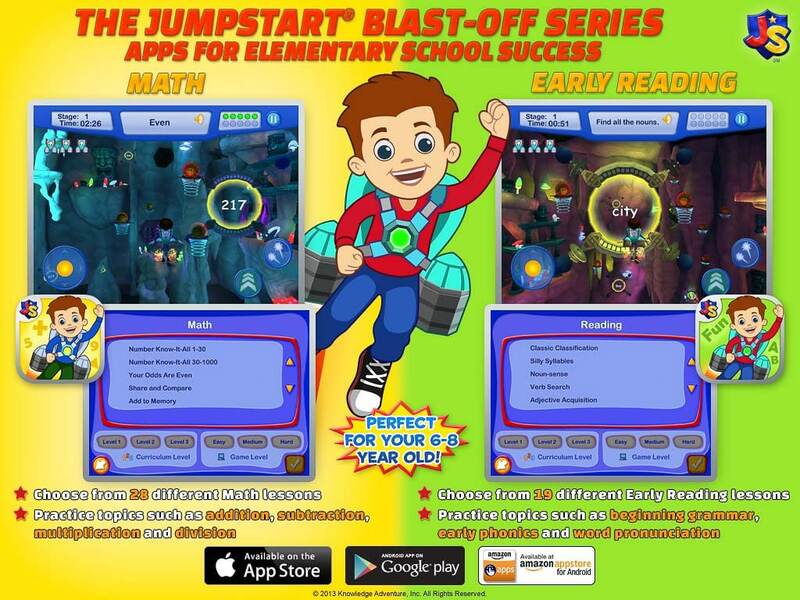 Today, we review the JumpStart® Blast-Off Early Reading app for iOS, Android and Amazon Kindle devices. When the folks at JumpStart® contacted us again (we reviewed their Madagascar App here) to look at two apps for kids in Math and Early Reading we jumped at the chance. Upon first starting this app, you are asked to log in. This is to be able to “save” the data from your child’s activity. That being said you can play as a guest. Once you get to the menu screen you do need to help your child the first few times playing, as the menu is a list of options. You choose which skill you want the child to work on, what curriculum level (each level would be equivalent to a grade level, 1 is late Kindergarten and early first grade and so on) and then you have to choose if you want easy, medium or hard game play. When all those options are chosen, you can also choose if you want to play left handed or right and it shows you how to deal with the joystick or tilt. Once in the game, you begin to navigate your spaceship, make sure your volume is on here as the narrator tells you what letters/words, etc. you are looking for. Working the spaceship through the game is pretty exciting for a five year-old. Our daughter was really into it and the sound effects started pretty quickly for her. She cracks me up how looking at how into the apps she got. The app did require a lot of parental help for us because she is only five years-old. That being said, I can easily see her being able to quickly pick it up and an older child would do very well with the app. Similar to video games, you have to really use both hands to manage the controls, which is another reason it can be tough at first for younger children and may require parental participation. We will continue to use this app in the future to practice her early reading skills and improve her confidence with those skills. Overall, I am mostly happy with this app, but would love to see the introduction menu be a little more kid-friendly perhaps, with pictures and less options on one screen. 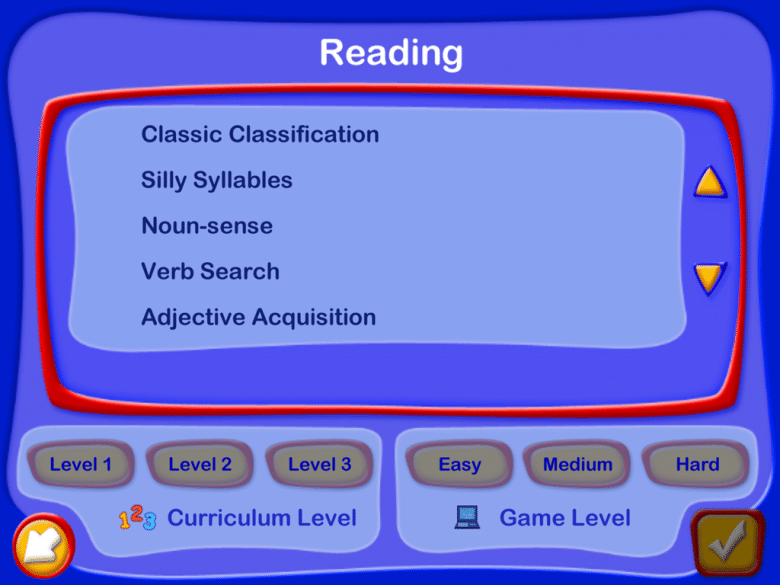 Help your child learn key early reading skills! Perfect for your 6-8 year old! 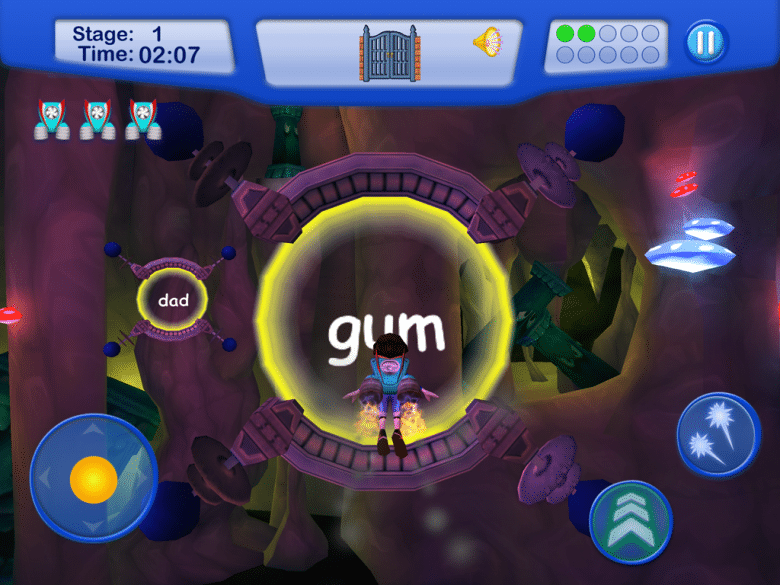 Explore a mysterious cavern packed with reading skills and fun with your child in JumpStart® Blast Off: Early Reading! Armed with their brains, jetpack and blaster, your child will blast through correct answers and zap away the incorrect ones as they race for top score. Beware of the pesky punk punks that are out to stop your child. 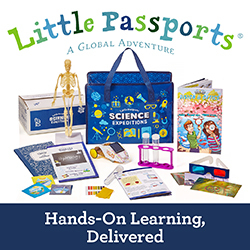 With 19 lessons designed to teach key early reading skills, this educational game will help children master the skills to excel in school. Equip your child with a strong reading foundation. Your child will develop key educational skills such as word recognition and sounds, early grammar classification, and more. 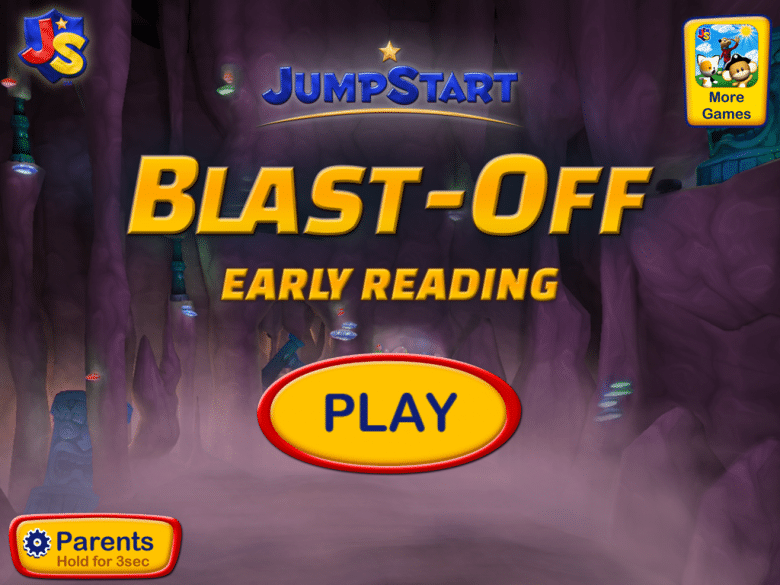 Through listening and interacting with words, elementary school learners will enjoy a comprehensive reading and learning experience found only through JumpStart® Blast-off: Early Reading! 19 lessons focusing on beginning phonics and early reading so your young learner can get ahead! Many progressive levels of game play for your young learner to master! Amazing 3D graphics and catchy music that your child will love! Choose Tilt or Joystick controls so your child can pick up and play immediately! JumpStart®, a key children’s educational publisher, has created learning games such as JumpStart® Blast-off: Math, Madagascar Math Ops, Math Blaster, JumpStart® Pet Rescue and more! Where: iTunes App Store Google Play™, and Amazon. 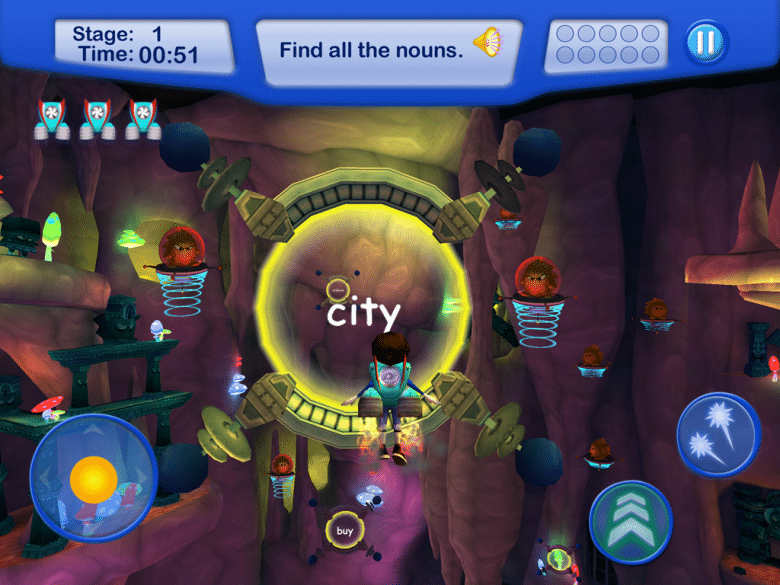 Need to know: This app is designed for children as young as Kindergarten. However, it may require some parental guidance in getting to the game play. Extra Extra: Check out JumpStart Moms for parenting tips and ideas to printable worksheets and fun activities for kids. 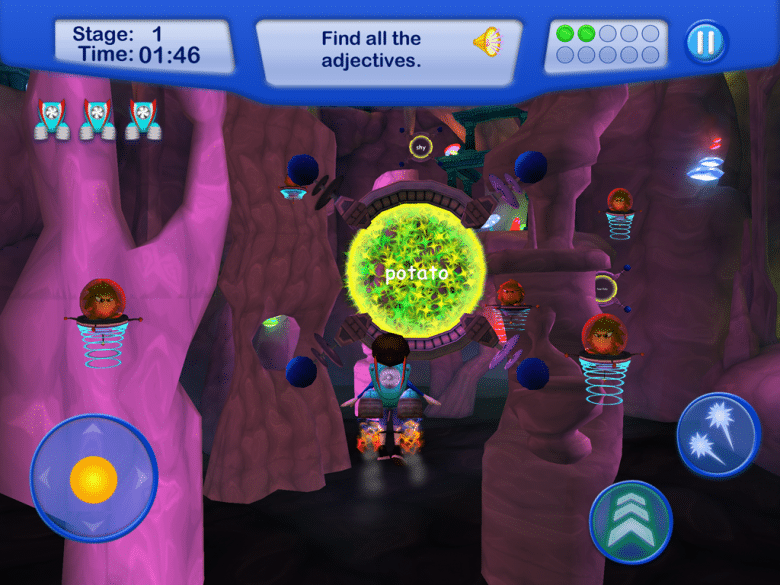 In celebration of the Blast-Off Series of apps, we at Windy Pinwheel, in conjuction with JumpStart®, are giving away a download code for both Blast-Off Math and Blast-Off Early Reading apps for your children to enjoy. Just enter the giveaway below and be sure to come back every day before 8:59 PM Pacific Daylight Time Friday, March 7, 2013 to enter. This giveaway contest is open to residents of the United States and Canada only. You must be 18 years-old to enter or have your parent’s permission. Void where prohibited. 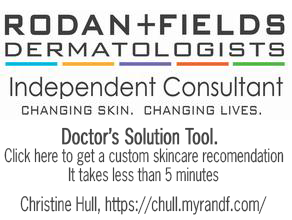 JumpStart® provided us with a free app download and product for this review and giveaway. This, in no way influenced our opinion of JumpStart nor the Blast-Off Math app in writing this app review.